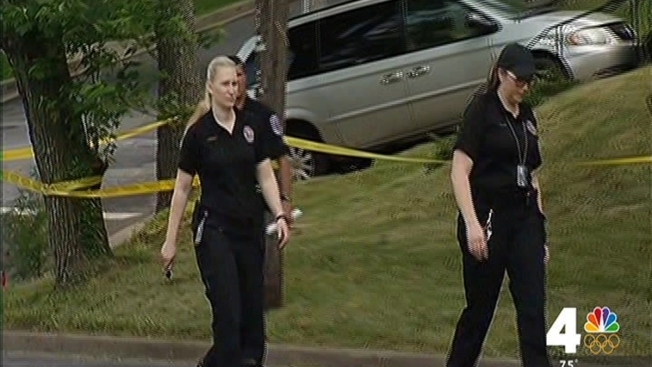 Victim was walking with caregivers from a group home to a park to play basketball. Police said victim got into an argument with a person in a car and wasn't communicating clearly. Police want to talk to person who was with shooter and is believed to have gone to the victim's aid. Editor's Note: This story has been updated to reflect the victim had a mental illness, but was not considered "special needs" as previously reported. Someone shot and killed a 20-year-old mentally ill man in Hyattsville, Maryland, Wednesday afternoon. Two residents of a home for people with intellectual and physical disabilities were walking with two aides from the home to Greenvale Park to play basketball about 1:20 p.m. when they passed a car parked in the 6900 block of Greenvale Parkway with two people in it, Prince George’s County Police said. Words were exchanged between one of the residents of the group home and one of the people in the car, police said. 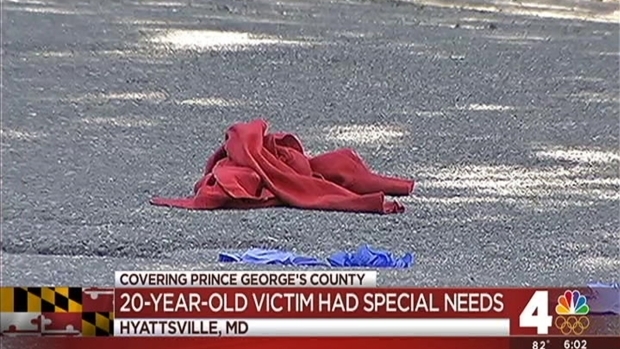 A 20-year-old man with special needs has been shot and killed in Hyattsville, Maryland, Wednesday. Police say the man got into an apparent argument with a person in a car. News4's Jackie Bensen reports. On Thursday, police identified the victim as Conrad Cole, of Hyattsville. Cole stumbled toward the intersection of Greenvale and 69th Place, where he collapsed, police said. He died a short time later at a hospital. The suspect fled the scene, police said. The other person in the car with the shooter was heard making comments that lead police to believe that person was shocked by the shooting. Police believe that person got out of the car and tried to help the victim but fled upon hearing sirens, Stawinski said. Police want that person to reach out and cooperate. Police are looking for the car and the shooter. Police said they are working on getting a description of the car. Police are offering a reward of up to $25,000 for information leading to an arrest. Anyone with information is asked to call the Homicide Unit at 301-772-4925. Callers wishing to remain anonymous may call Crime Solvers at 1-866-411-TIPS (8477), text “PGPD plus your message” to CRIMES (274637) on your cell phone or go to www.pgcrimesolvers.com and submit a tip online.